I'm proud to present Bree Barton here on my blog! 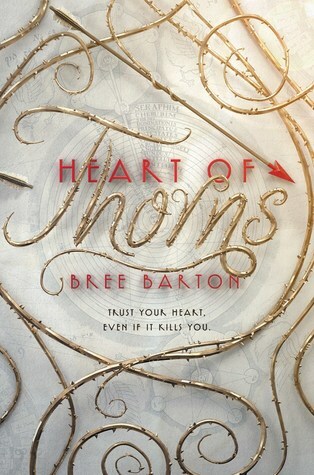 She's releasing her exciting novel, Heart of Thorns, tomorrow! Today, we'll talk a little about her inspiration behind the novel and how she built it. 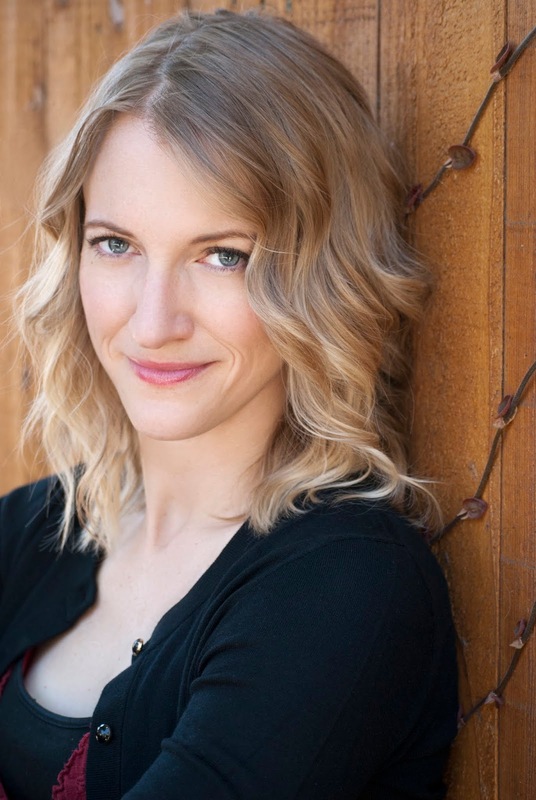 To learn more about her novel or background, click here or visit Bree's website. As a writer, I find there’s something really juicy about cusps—cusp of adulthood, cusp of revolution, cusp of loss. All three of those cusps are vibrantly alive in young adult fiction. When you’re a teen you are going through epic changes, whether you’re in an epic fantasy novel are not. That makes for really compelling fiction. My sister starts college next month (she’s the reason I’m doing book events in Wichita, St. Louis, and Columbia—I’m driving her to Ohio!). I think it’s really interesting how we say to high school grads, “Congratulations!” As much as you’re inheriting a brand new world as an adult, you’re also losing your childhood. I think there’s an inevitable grieving process our culture doesn’t often acknowledge. I usually can’t do anything with lyrics, because then I just want to sing along. But I am all for movie soundtracks and instrumental pieces (my mom is a piano teacher, so my love for piano began in utero). My go-to Pandora stations are Ramin Djawadi, Ludovico Einaudi, Max Richter, Erik Satie, The Piano Guys, and—for a dose of that sorely needed second X chromosome—Liz Story and The Tiny. I am also known to get up from my chair periodically and throw one-woman dance parties, for which Gaga, Janelle, and Kesha are queens supreme. This works better when I’m at home than, say, when I’m writing at a café. I cannot have coffee. Coffee—or anything with potent caffeine, really—kills me dead. I’m what you might call “naturally caffeinated,” meaning most people assume I start the day with three shots of espresso. In reality, if I have even two sips of coffee, my heart feels like it’s beating out of my chest; my hands shake and I can’t get any writing done. I used to be able to have black tea in the morning, but now even that makes me crawl out of my skin, and just this month I’m beginning to lose my tolerance for green tea. This makes me very sad, as genmaicha and gunpowder are my absolute favorites. And matcha, of course. Oh, how I miss matcha. Just this week my sister made me an amazing matcha tea latte…and after two sips I had to give it back to her, my pulse rocketing. I am weak. Who is your favorite character you've ever created? Ever? What a great question. This is out of left field, but I’m going to pluck a character from a lit fiction short story I published a few years back. This character works at a maid service called Spearmint Maids. Their motto: “So Fresh and So Clean.” She goes into people’s empty houses to clean them—and slowly starts to inhabit their lives. She sits on their sofas. Then reads their poetry books. Then rifles through their medicine cabinets. Then pries the lids off their crockpots, licking silver spoons to swirl her saliva into their simmering pot roasts. Let’s just say, by the end of the story, the maid became “intimately acquainted” with some of their bedroom toys. I still think about that woman. I never even named her, but she’s been inside my head for years. Did you have a writing schedule while you worked on Heart of Thorns? What did your average day of writing look like? Here’s a day in the life of Bree Barton (at least Bree Barton on deadline). I turn off my phone the night before—it’s the only way I can get any focused work done. My alarm goes off at 6am. I convince myself I can steal another 30 minutes of sleep. Then another. By 7am I wake up consumed by guilt. I unlock my car and hide my phone in the glove compartment so I won’t be tempted to turn it on. I bring my laptop out to my little garage office and move the dusty papers, dead spiders, and plush octopus to the side. I turn on my electric kettle. I make tea. I realize I forgot my lucky mug, so I go inside to retrieve it. I come back out, then realize I forgot my laptop charger, so go back in. I finally stop procrastinating and write solidly for 2-3 hours, then stop to eat potatoes and eggs. I go back to writing. At 12 noon I might go to a cycling class, but more likely I turn on my phone and check social media because I’m having symptoms of withdrawal. At 12:30 I realize I am still wearing my robe. At 12:31 I regret not going to the cycling class. I pet my dog. I wash the dishes. At 1pm I work on ghostwriting projects to pay the bills. I can’t focus. I watch Donald Glover on YouTube. I watch Bo Burnham on YouTube. I really can’t focus. I realize I’ve forgotten to eat lunch. I’m starving so I eat forty-two plantain chips and slightly stiff prosciutto. I answer emails. I answer emails. I answer emails. I look at my clock and realize with horror it is almost 5pm. At 5:01pm I try to spark a second burst of writing. I stare out the window. I reread what I’ve written and change most of it. I eat Thai food. I read a friend’s ARC. I turn my phone off. I have a burst of ideas right as I’m going to sleep, so have to jump out of bed and turn my phone on, just to jot them down in Notes. My mind is racing so I take a melatonin to help me sleep. The next day, I wake up and do it all again. Infandous by Elana K. Arnold. That book is utterly spellbinding—and one of the darkest YAs I’ve read. Elana had several publishers say, “This is the best book we’ve read this year . . . and we absolutely cannot publish it.” But it’s such a beautiful and haunting meditation on femininity, girlhood, misogyny, loss. I’m excited about her most recent YA book, What Girls Are Made Of, which I haven’t had a chance to read yet (it was a National Book Award finalist! ), and also Damsel, which comes out in October. I’m so glad Elana is finally being recognized as the brilliant literary empress she is.